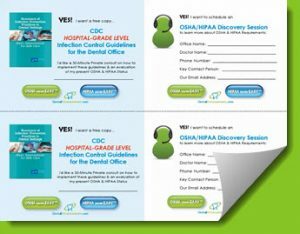 Dental Enhancements, Inc., (D/E) has created this page to keep you within easy reach of our current flyers. 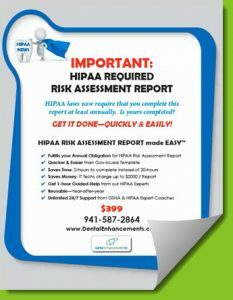 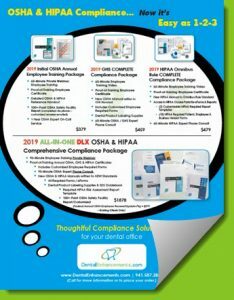 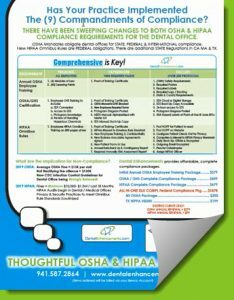 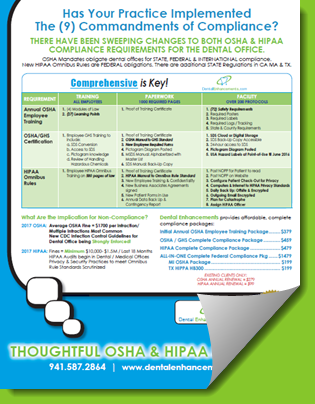 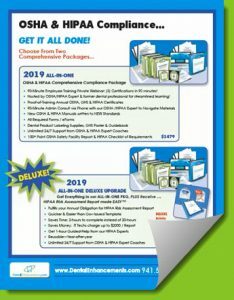 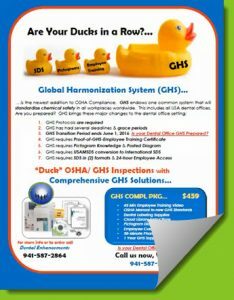 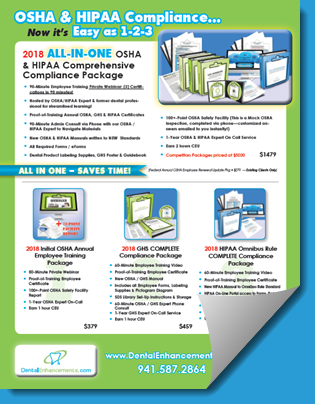 If you would like a hard copy of our OSHA made EASY™ & HIPAA made EASY™ Flyers, Tear-Sheets & Laminate Cards – please email or text at jill@dentalenhancements.com or 941-587-2864. 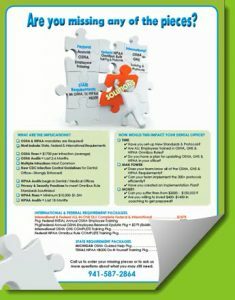 Click on a Flyer image to view as a printable pdf file in a new tab. 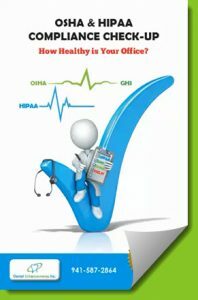 We will keep this page current.